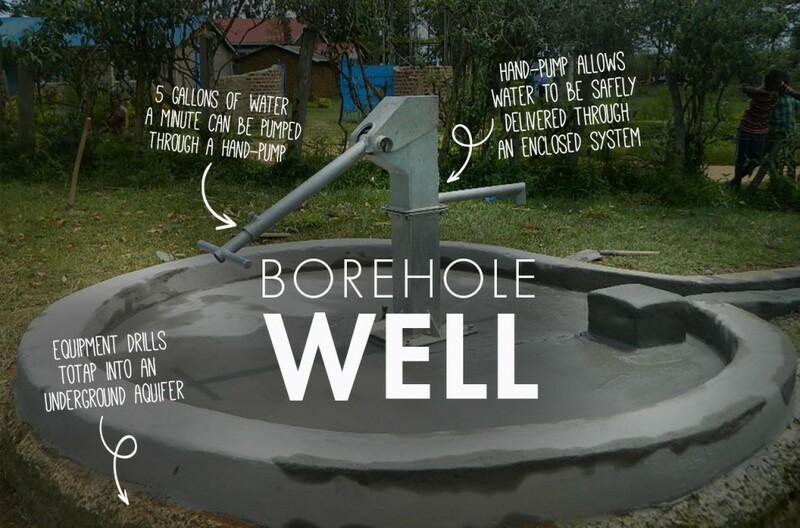 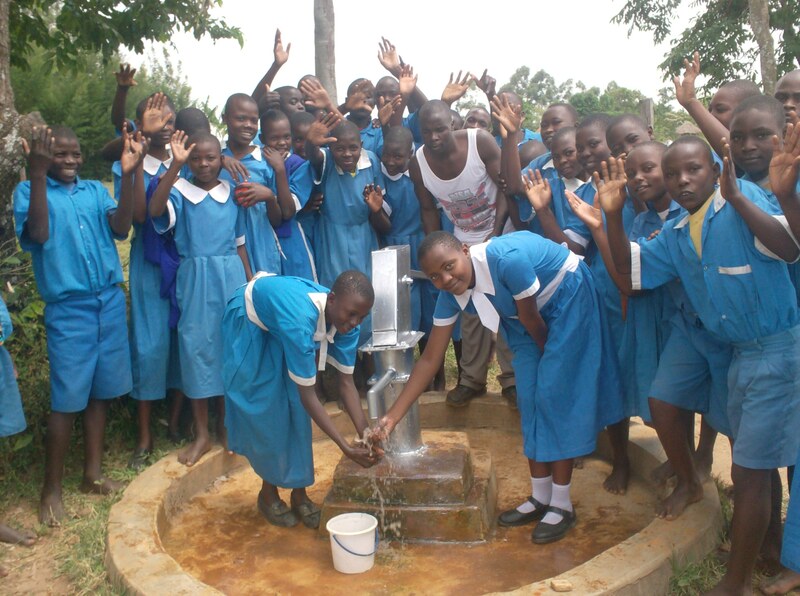 The well project at Vashele Primary School is now complete. 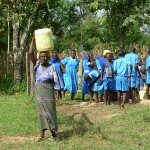 It is located in Western Kenya, near Kakamega. 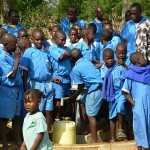 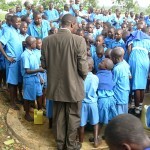 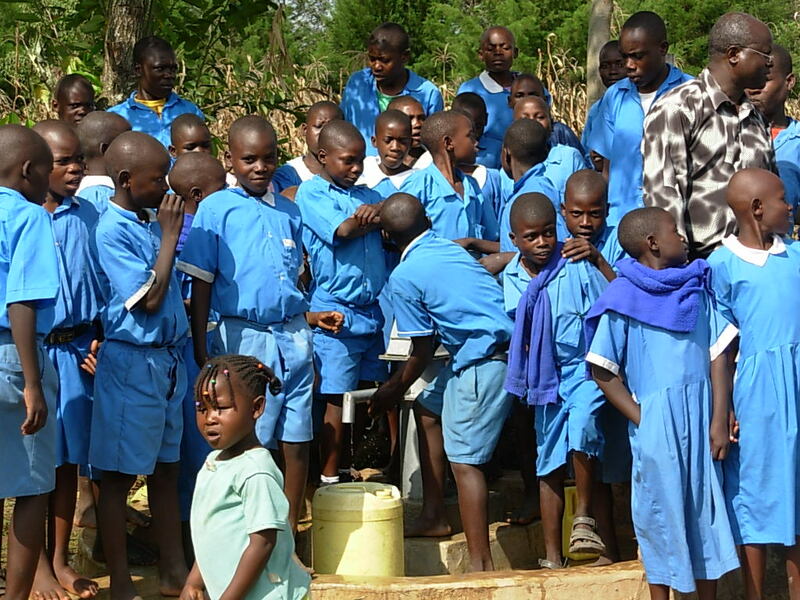 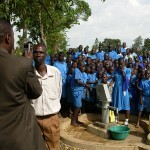 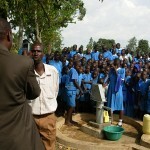 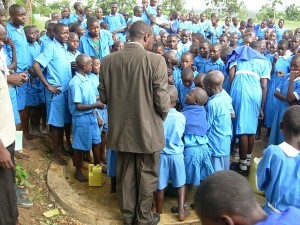 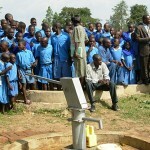 The school is home to 632 students and the well will serve them and the surrounding community. 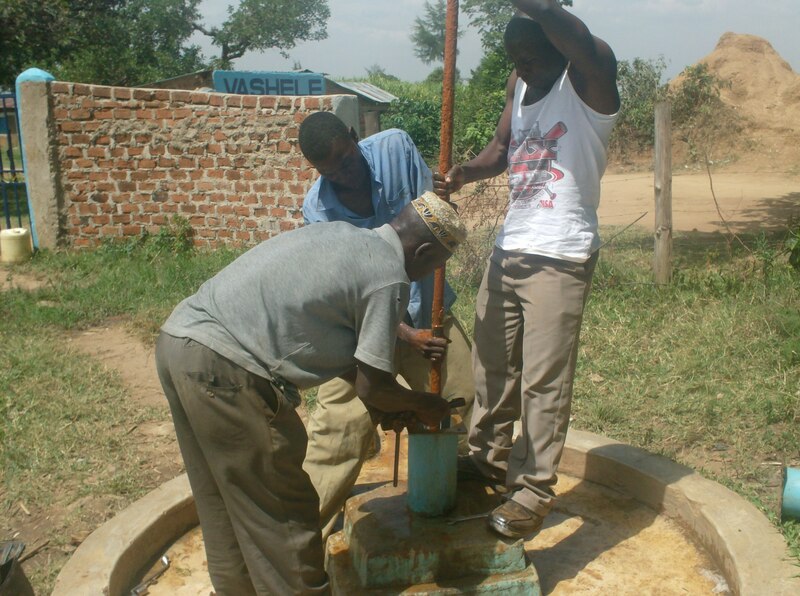 A local water committee of 6 men and 3 women is in place to manage the project long-term. 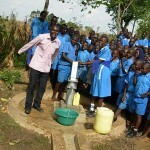 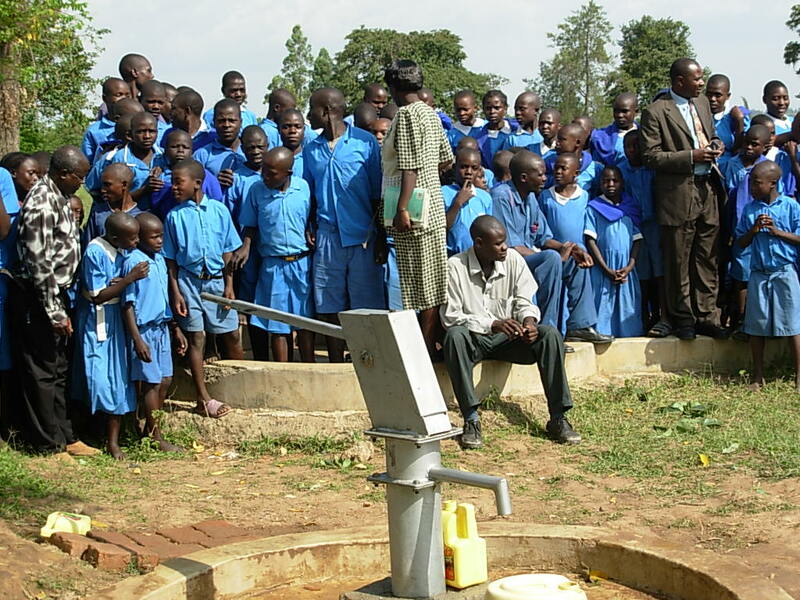 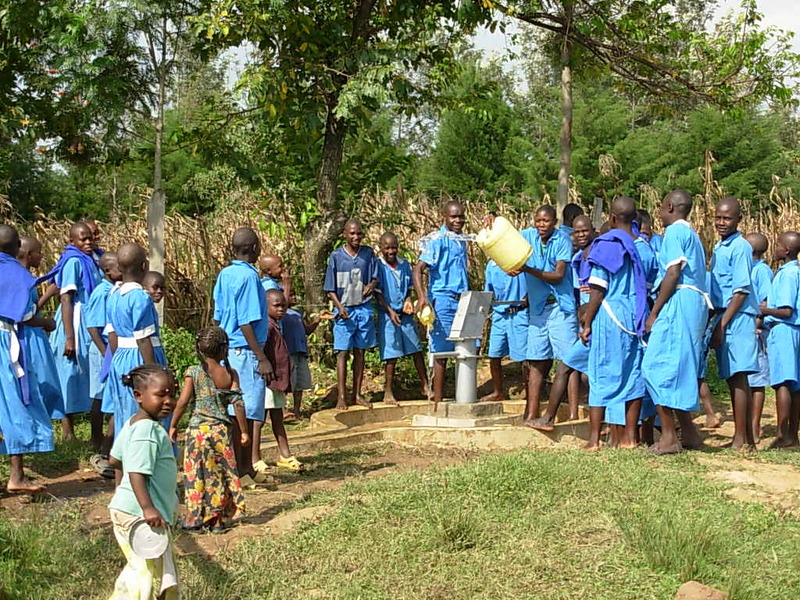 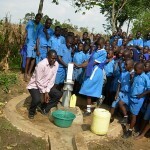 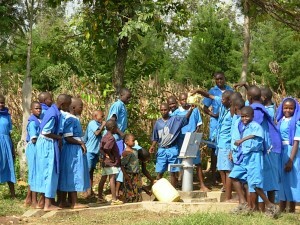 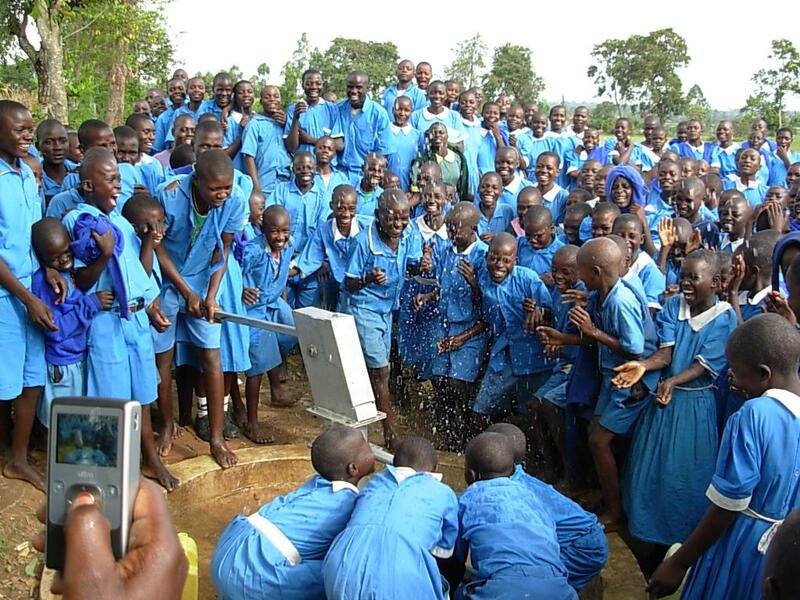 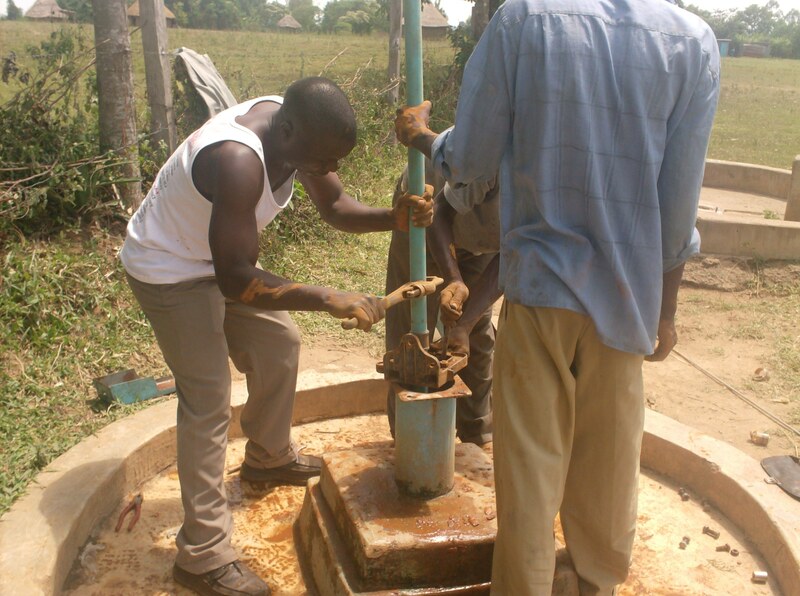 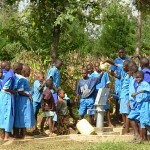 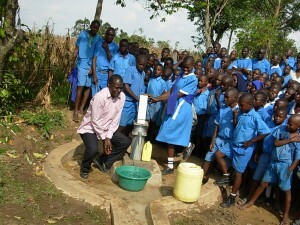 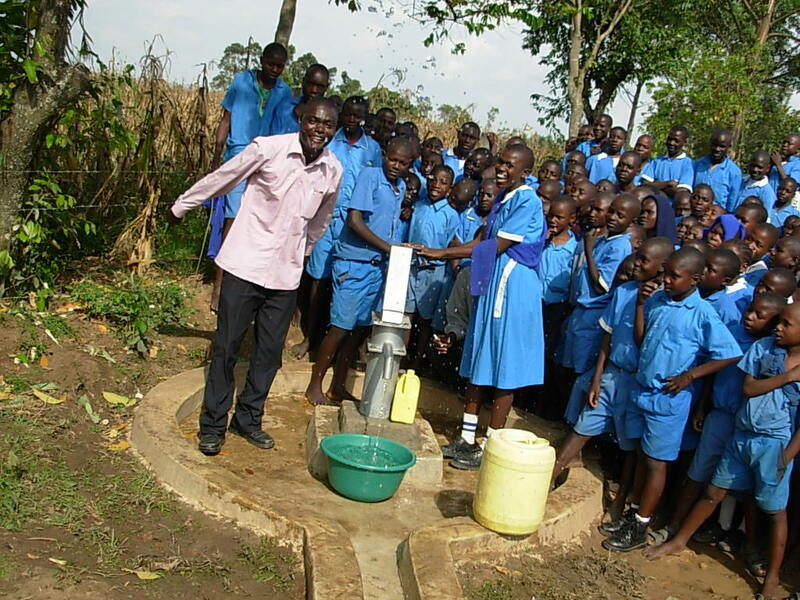 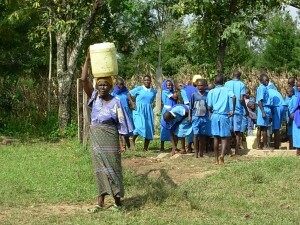 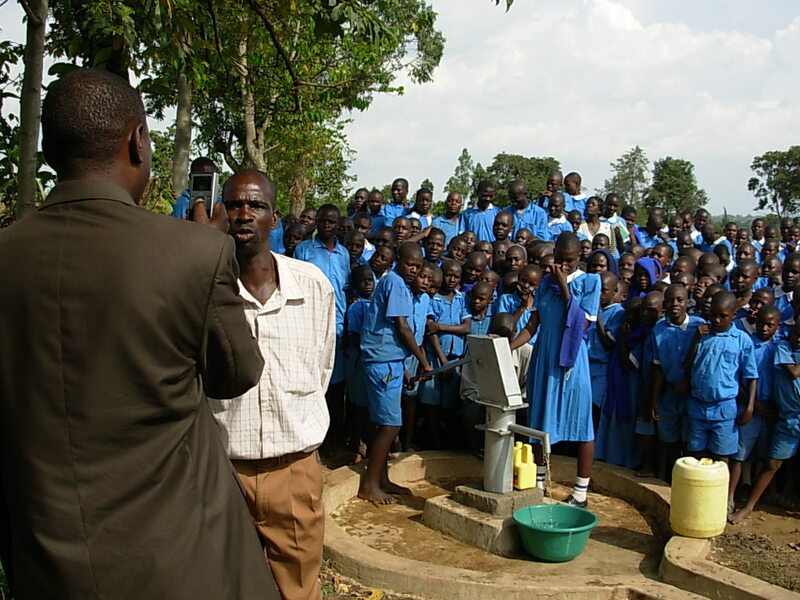 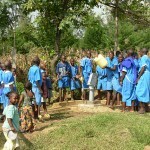 The well was funded by an anonymous donor to our “Change Christmas 2008” Campaign. 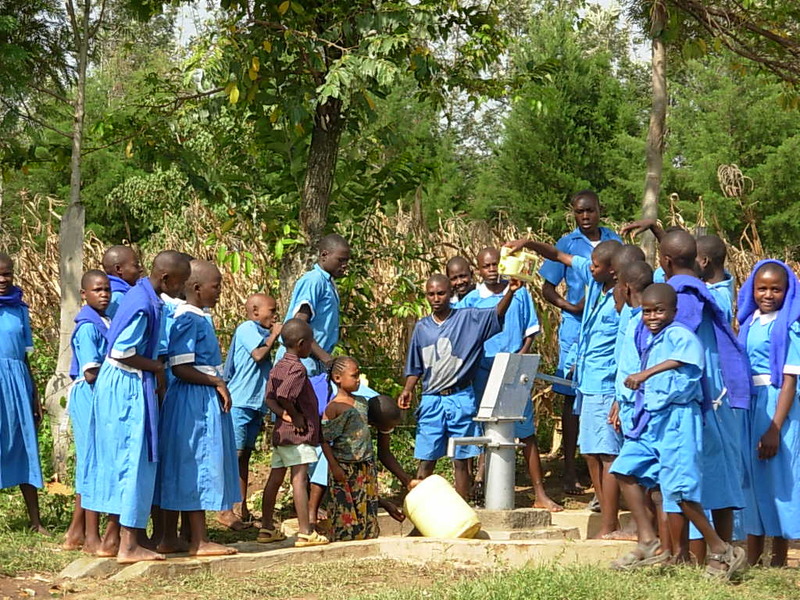 After a long delay, we’re happy to finally show the results of their generosity. 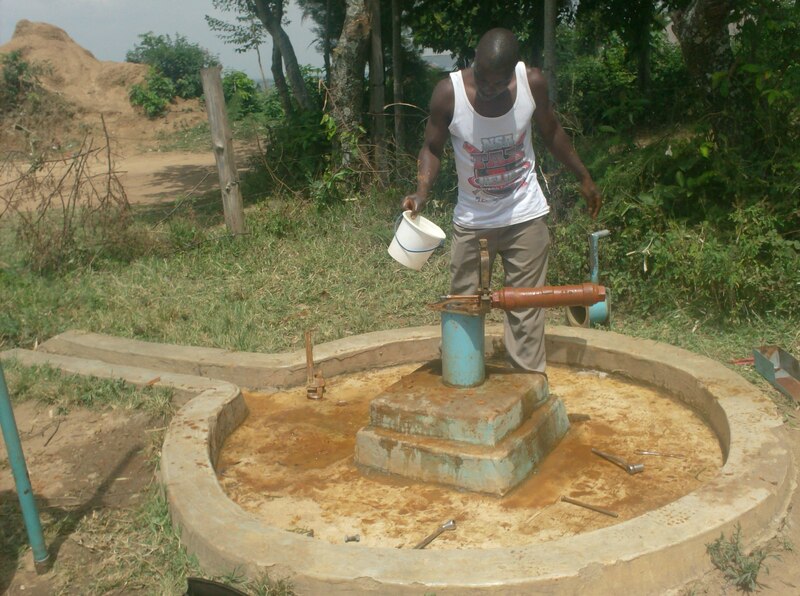 01/31/2017: Water Still Flows for Hundreds Here! 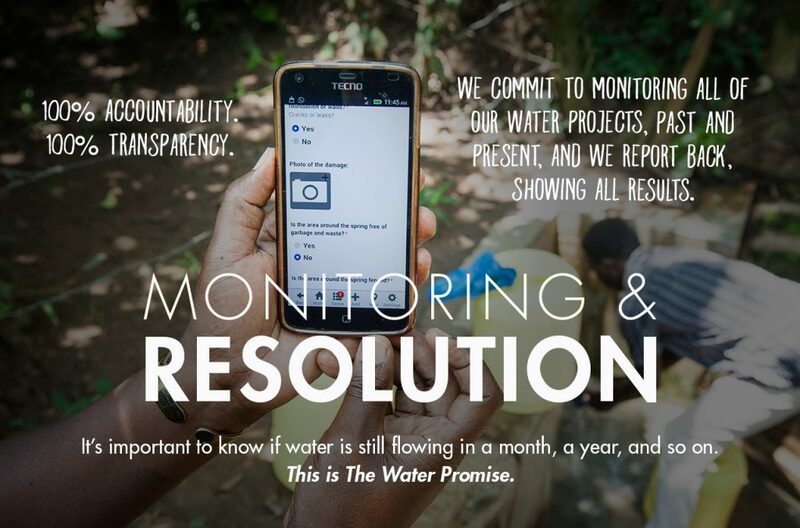 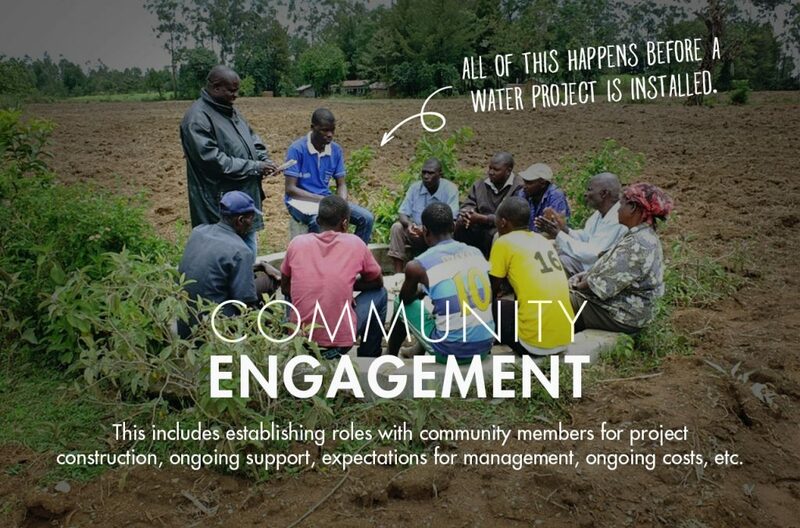 We are encouraged by our monitoring and reengagement programs that prove water still flows in Kenya. 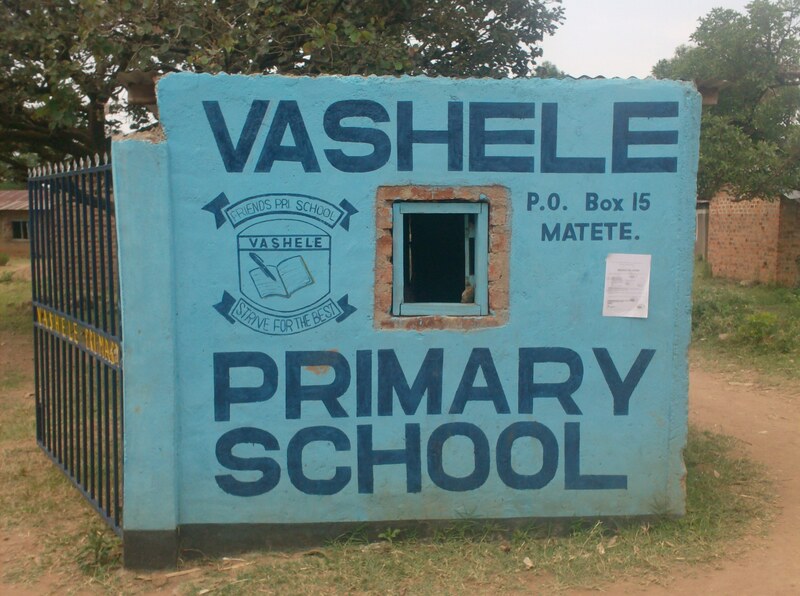 Vashele Primary School is one of the many locations with a functioning well years after its installation! 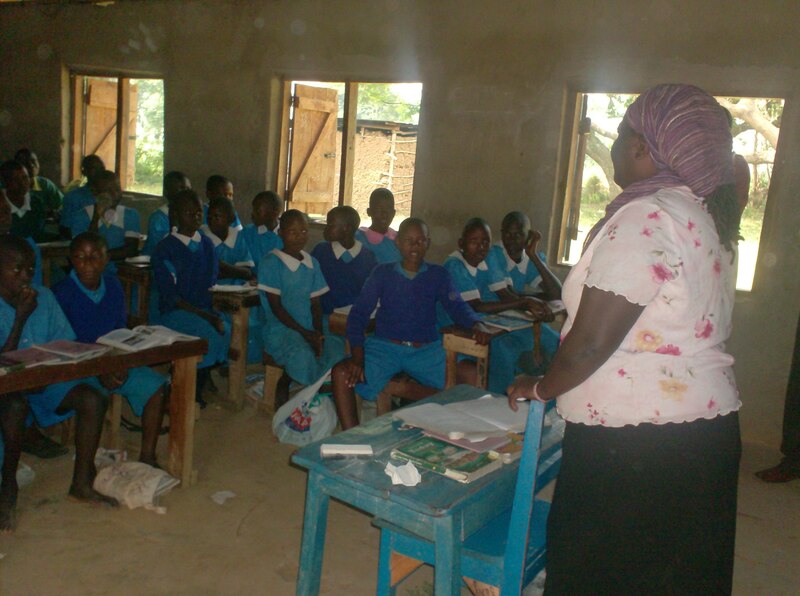 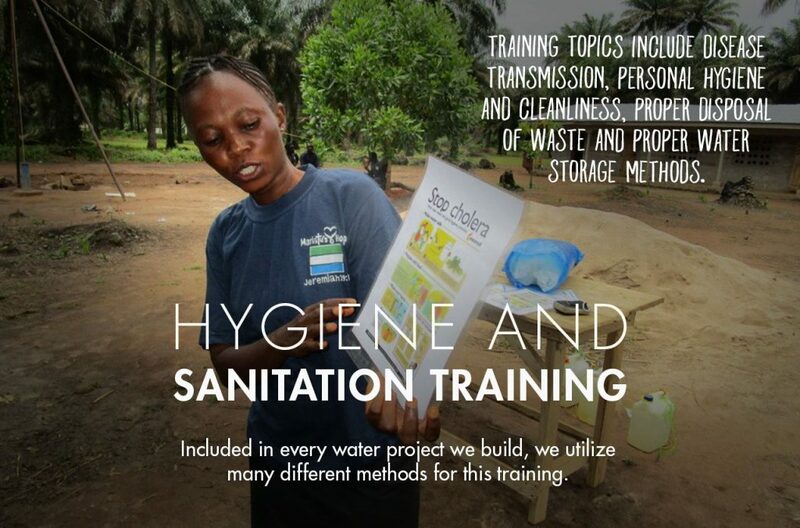 Our partner just conducted a review training with students and staff to encourage them to continue practicing good hygiene and sanitation at their school and at home, too. 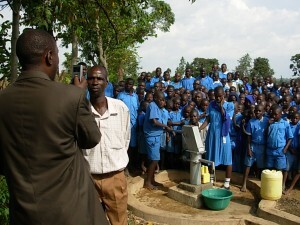 Check out the new videos we uploaded to the “See Photos & Video” tab. 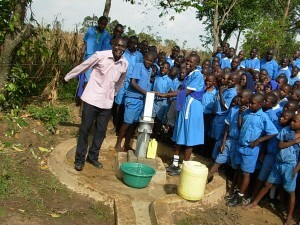 Thank You for your generosity that is still changing lives! 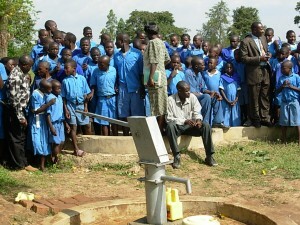 upgraded to ensure they last as long as possible. 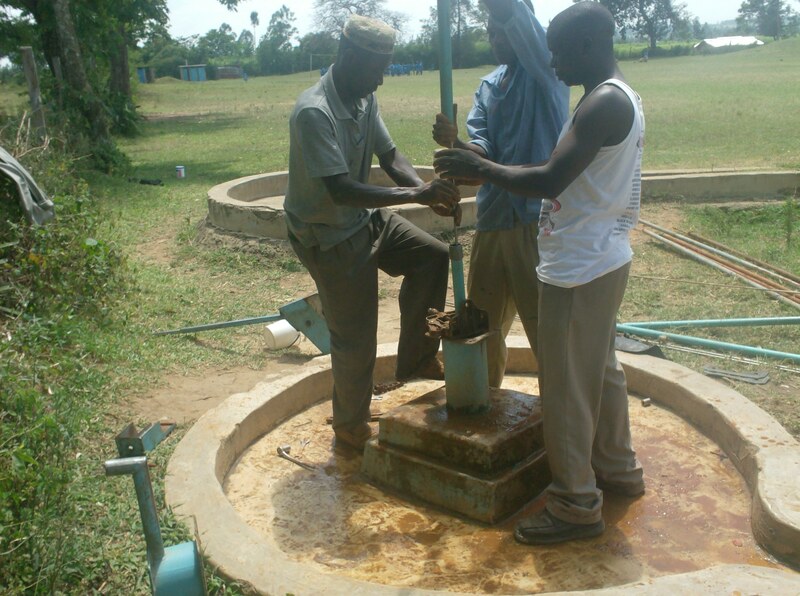 Well repairs began during the visit.